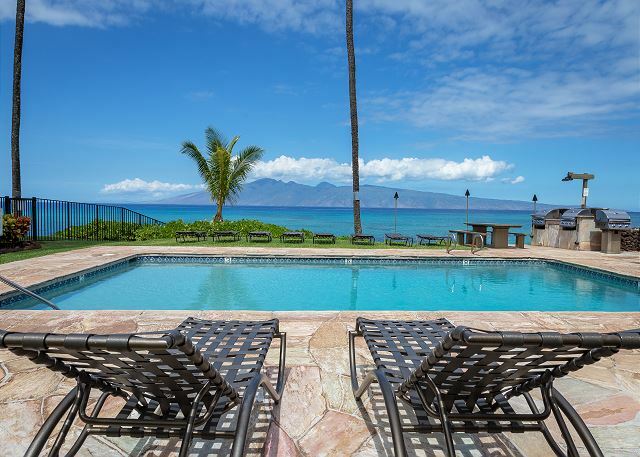 Imagine yourself on the beautiful island of Maui, sitting on your private ocean front lanai and gazing across the turquoise blue Pacific, just a stones throw away from the sea. 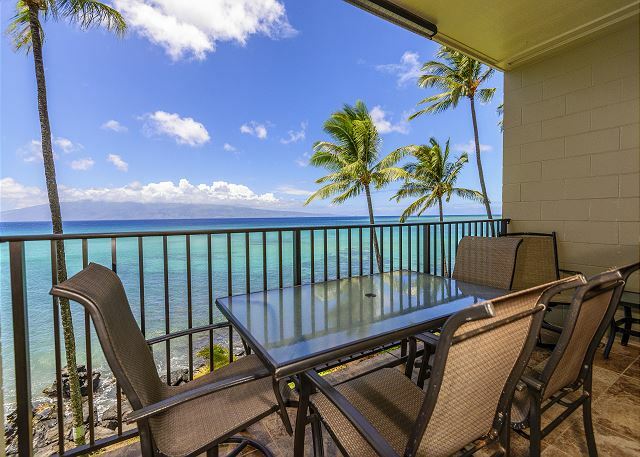 Come live the experience and enjoy the tranquility at our gorgeous 3 bedroom, 2-1/2 bathroom Noelani Condo! 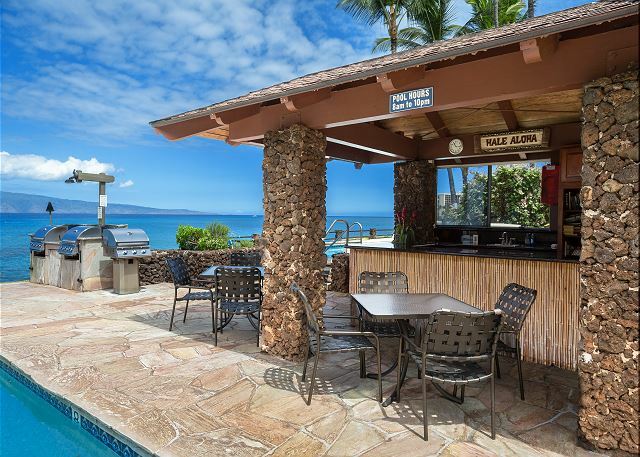 This incredible ocean front and air-conditioned suite features two private lanai's (one off of the living room and the other off of the master bedroom) where you can enjoy whale watching, spectacular sunsets, and endless ocean views. 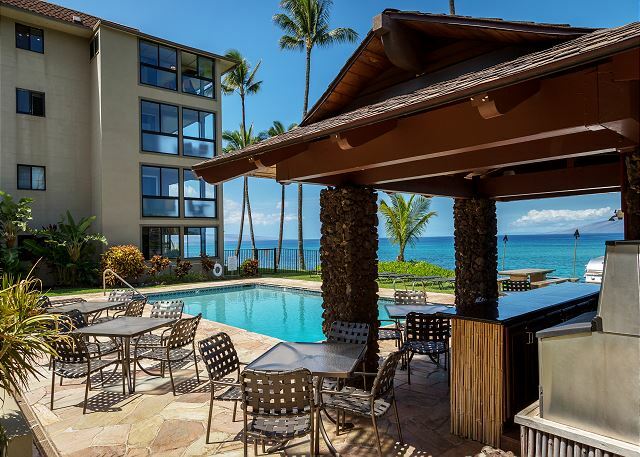 Both lanai's have tables and comfy chairs for you to lounge and relax throughout the day or evening. The condo features a spacious fully appointed kitchen with plenty of counter top space and modern stainless steel appliances. The kitchen is stocked with cookware, dishes, glasses, stemware, utensils, and more for you to cook your favorite meals. Just off of the kitchen is a separate dining area with a table and six chairs. 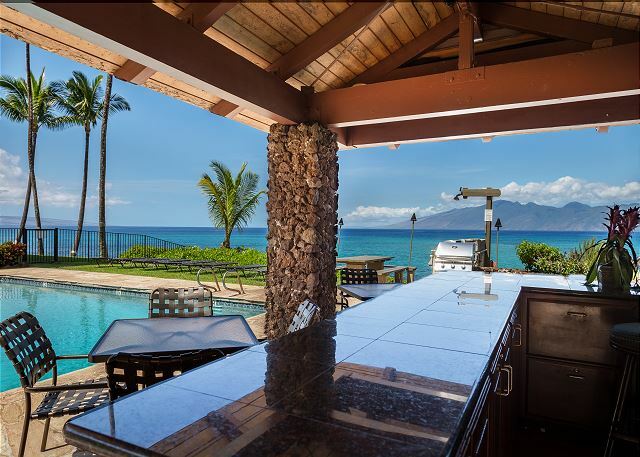 It is the perfect spot for entertaining! The living room features raised ceilings with recessed lighting along with elegant island décor and a large flat screen TV. 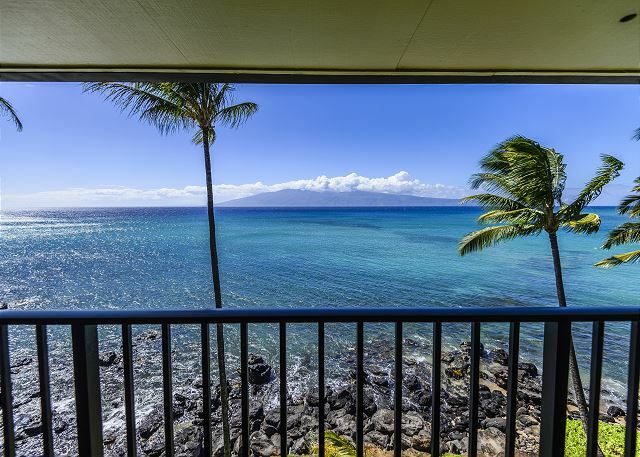 The view of the ocean from the living room is spectacular! The condo has 3 bedrooms, 2 upstairs and one downstairs. Each of the bedrooms are fully furnished and are decorated with elegant island décor. The master bedroom has an ultra comfortable king size bed. There are 2 full bathrooms upstairs next to the master bedroom and guest bedroom, each featuring tiled flooring and a glass showers. There is an additional half bathroom downstairs next to one of the guest bedrooms. The downstairs guest bedroom features a queen size bed. The other guest bedroom (located upstairs) has a king size bed. Both bedrooms are extremely comfortable and ideal for a relaxing night. There is also a washer and dryer in the condo for your convenience. 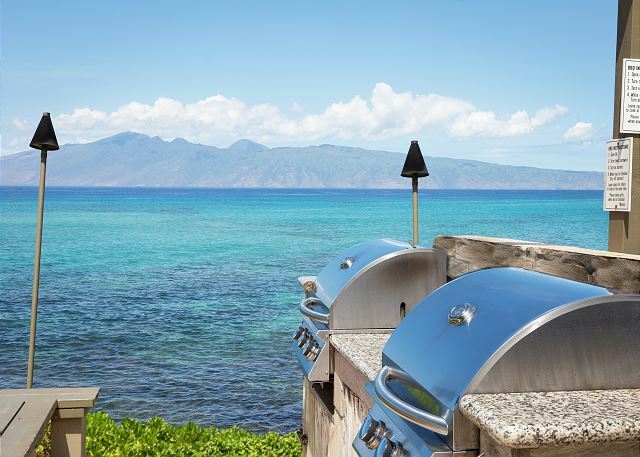 The Noelani resort has two swimming pools, a Jacuzzi, oceanfront BBQ grills, and is steps away from the "S-Turns" beach park. Parking at the resort is free. 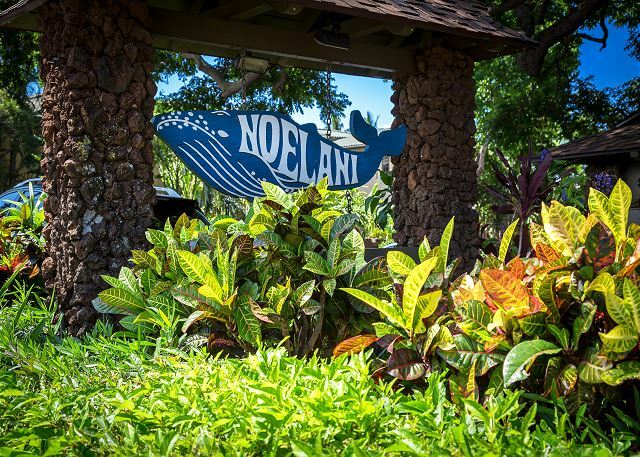 Noelani is located in beautiful West Maui. 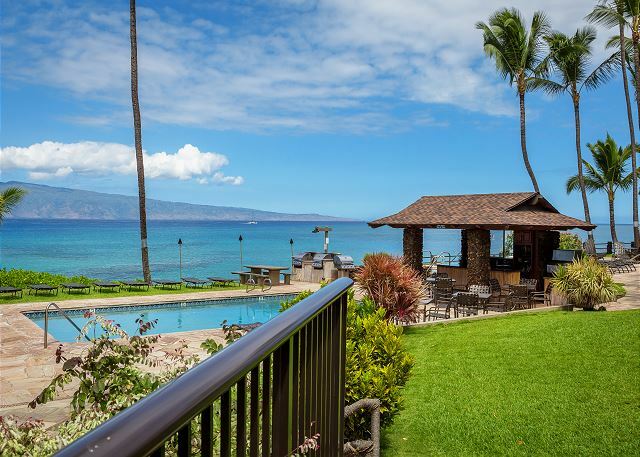 The property is located halfway between Kaanapali Shores and Kapalua Bay. 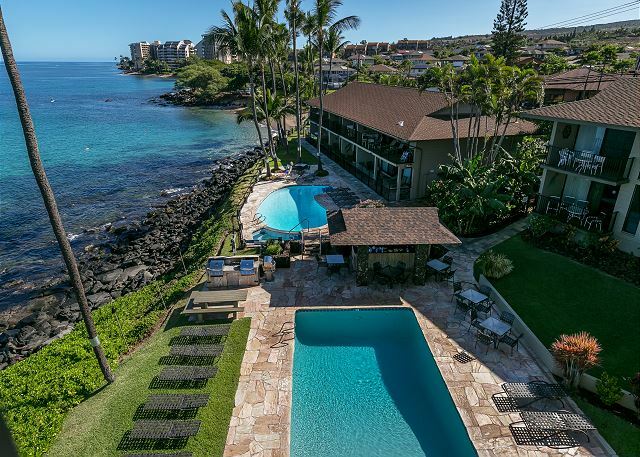 It is 2.6 miles south of Napili Bay and 3 miles from Kapalua beach. 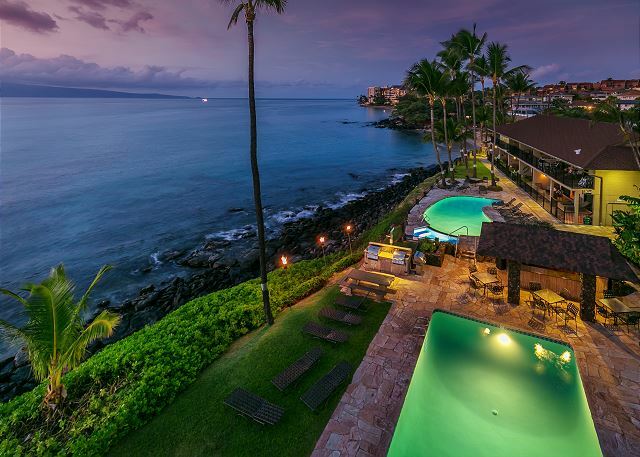 The Kapalua Gold Resort Bay Golf Course is also just a short 3 miles away. 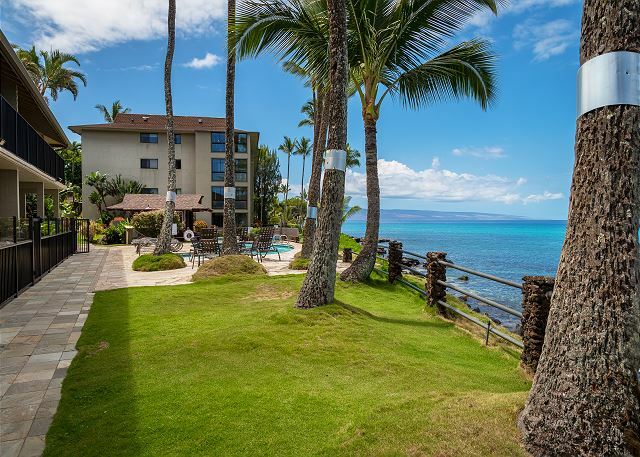 Noelani is walking distance to a variety restaurants and shops and is a short driving distance to Lahaina, Whaler's Village, spectacular beaches, snorkeling, paddle boarding, sailing, surfing and much more! From the Noelani 304 lanai we watched the whales everyday, and the turtles on most days, with Molokai in the background. 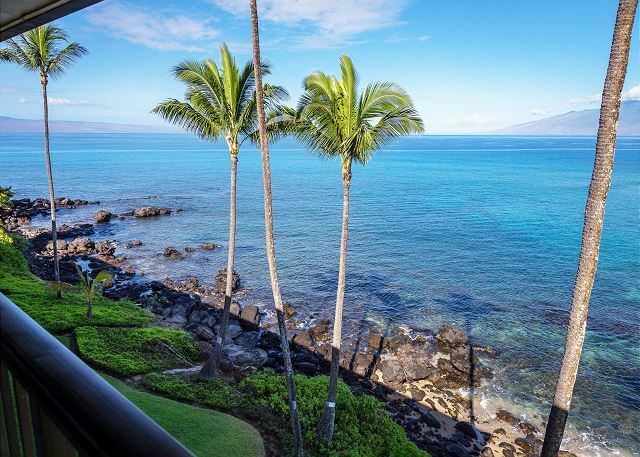 It was great to wake up and have a marine show from the lanai! And, the sunset view is spectacular. 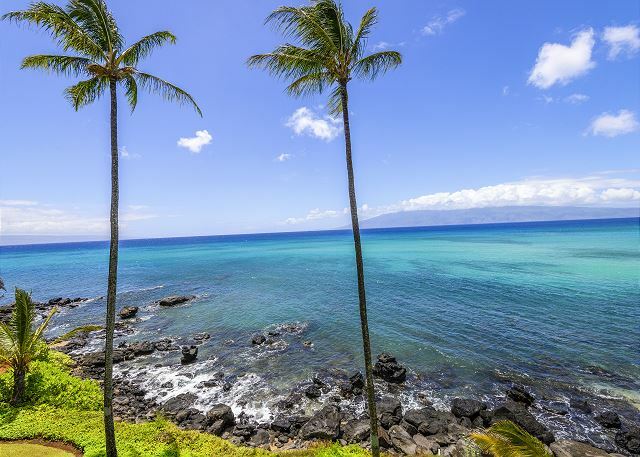 We found it a nice location to travel from for any of the beaches or snorkeling north of Kihei. If we were headed south of Kihei, it was best to wait until 9:30am because of the traffic. It was a very good space for our family of 8. The kitchen was well stocked and the fridge was large. Parking was never an issue and the longer term guests there are very friendly. The unit, as well as the grounds, were very clean. The unit has a large sectional sofa, great for sleeping 2 singles, not for a couple. 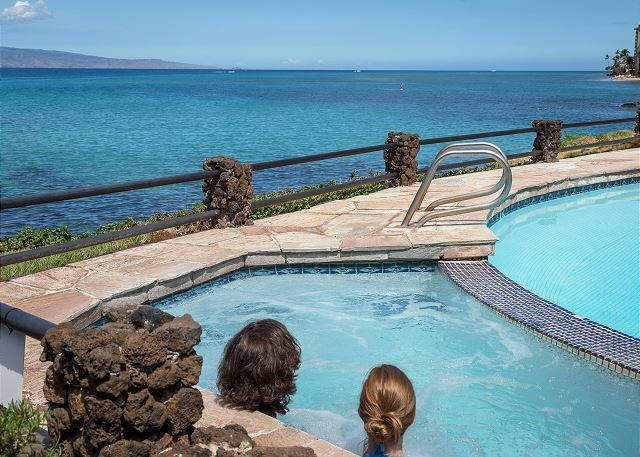 5/5 stars Review by Marie M.
What a wonderful setting for our family trip. We loved this condo. Had all we needed as a family. 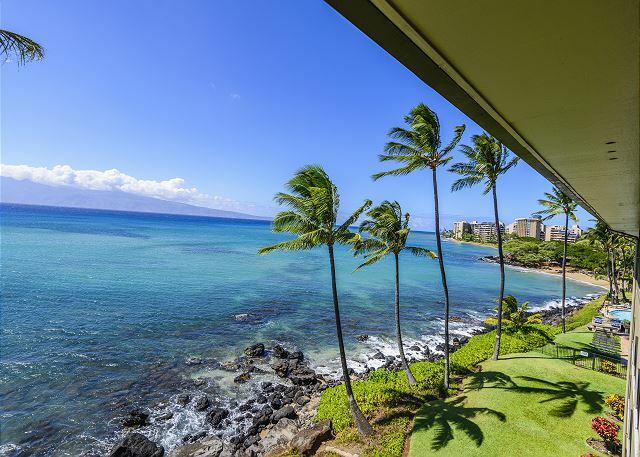 The view from the lanai was spectacular. Turtles and beach whales daily. Just remarkable. 5/5 stars Review by Susan T.
Our family had a wonderful stay in 304! We were all very comfortable in the bedrooms. We had a amazing view of the ocean, saw sea turtles every day! Great little beach. The kitchen was well equipped. Perfect place for us. This condominium is ideally located. 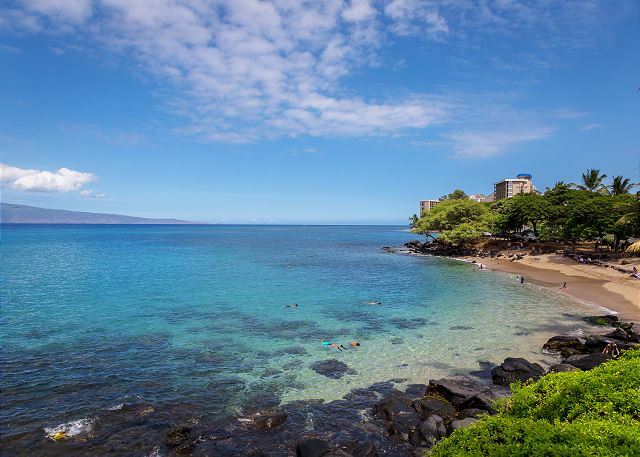 Close to Lahaina and Kaanapali. 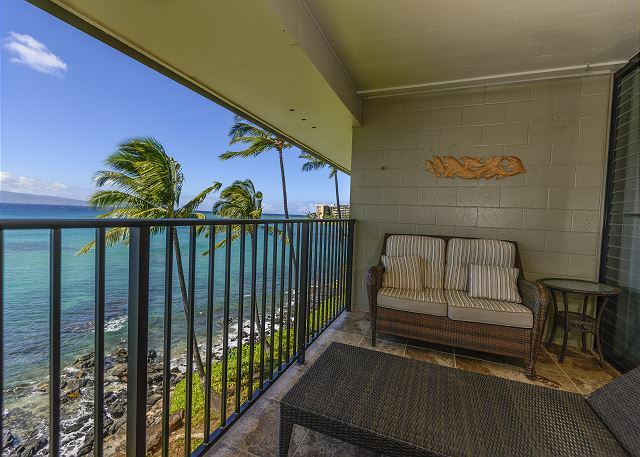 The view from the lanai is amazing. We saw turtles and whales every day. The beach right beside the complex is great. The atmosphere was friendly and relaxed. 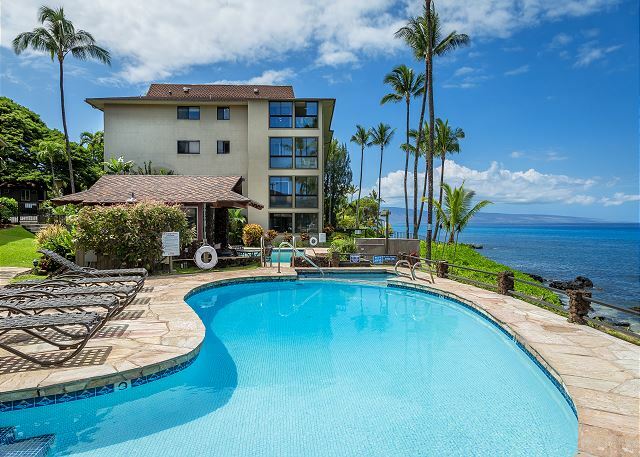 We would definitely recommend this condo and would stay here again. The management company was great to deal with and very responsive. 4/5 stars Review by Christopher O. 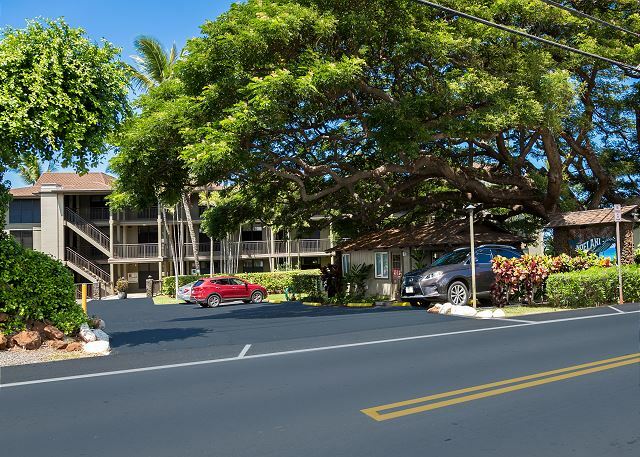 Nice 3 BR condo, clean and spacious. Good location, walk to park, hot tub and pools on property. Management company very responsive.